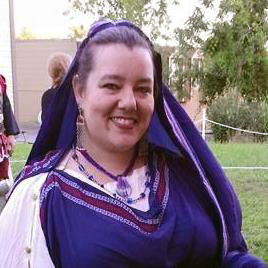 This year, we are coordinating the return of the Newcomers Point, which will be part of the Pennsic Event Resources. Our goal is to have a place that is open and available to newcomers, where they can feel comfortable and learn more about the event and the SCA in general. Newcomers’ Point will be a set place where Newcomers can come to ask questions or get information about the SCA and/or Pennsic. We will also be able to help Newcomers get involved with their local group after Pennsic. The Pointe will be will be located under the same tent as the Pennsic Watch (seated at the table, in the shade, with electricity! ), and we will need your help staffing the tent. Already Æthelmearc has chosen to sponsor a day, and the Midrealm has too. Most shifts are still open, and we especially need people during Peace Week. Please email me to volunteer for a shift and help make this a huge success.